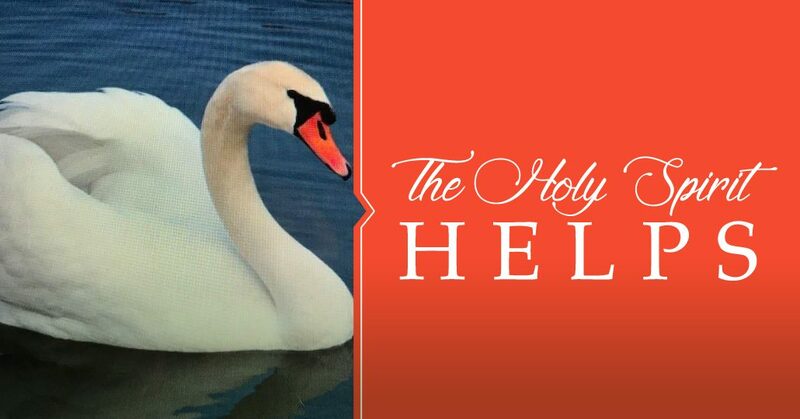 You are here: Home / Random Thoughts / Uncategorized / The Holy Spirit Helps Us! The Holy Spirit Helps Us! end up being toxic. Toadstools sure look like mushrooms. But once eaten, you know what you consumed is NOT edible! Everyone would agree that swans are beautiful. But they, too, can also be deadly. But swans will NOT give in! They’ll attack by flying full speed at a predator and will begin biting it. glance but have fatal consequences once we experience them. How can we know what’s toxic and what isn’t? This is where dependence on the Holy Spirit comes into play. you about the future” (John 16:13) New Living Translation). It’s essential that we learn to depend on the Holy Spirit! How do learn to do that? By totally surrendering to Him. Have you yielded to the authority of Jesus Christ? Are you living in radical obedience to Him? guide us, and to bring us into truth as we depend more and more on Him. have said to you” (John 14:26 NIV). http://susieshellenberger.com/wp-content/uploads/2017/12/THSHelps.jpg 539 1030 Susie Shellenberger http://susieshellenberger.com/wp-content/uploads/2016/04/susielogo-300x93.png Susie Shellenberger2017-12-28 15:36:032017-12-15 15:56:39The Holy Spirit Helps Us! The Comforter has come The Holy Ghost from heaven The Father’s promise given. Proclaim the joyful sound Wherever man is found The Comforter has come! Just like the foot prints when you see one set I cared you. He has or never leave us. Unless we leave him.